The face of an unknown child smiles from the pages of newspapers or a television screen. They’re missing. You gaze upon that face and you think, ‘God, their poor parents, that poor, poor kid’. And then the face vanishes and the next news item is highlighted and you get up to make a cup of tea or let the cat out or fix supper. It’s awful. But you move on. And perhaps tomorrow that unknown face may smile again – an alien person in some distant place, a name you have never heard before – and will likely quickly forget – even though your heart squeezes and your eyes well because the family is pleading for information that will help lead them to their lost child; their desperation is palpable. I met Joe almost five years ago, he would not remember me and I would not have recognized him: suddenly a boychild is a young man. My children got to know him a little better than I; they and Joe have a convoluted cousin’s relationship and a shared heritage. I don’t know if they are first cousins once removed or second cousins. It’s easier to just remember that they share a great grandmother that none of them ever knew. Joe is six months older than my youngest and the Christmas holidays that they all spent together, assorted cousins and aunts and uncles, was passed on neutral ground, neither in Tennessee – where Joe lives – nor Tanzania, my children’s home. Rather in an old family home on an African beach. I remember watching them from my verandah – a clutch of kids, as they wallowed in shallow low-tide pools, timidly getting to know one another and then laughing more raucously, more confident in each other’s company as every day passed. They ate mandazi, drank madafu, carefully turned starfish over near the reef to see the colours beneath and swam and snorkeled so that they returned home for lunch salted and sunburned. Joe, one of the older, naturally led the group. Hattie remembers he was kind and cool. 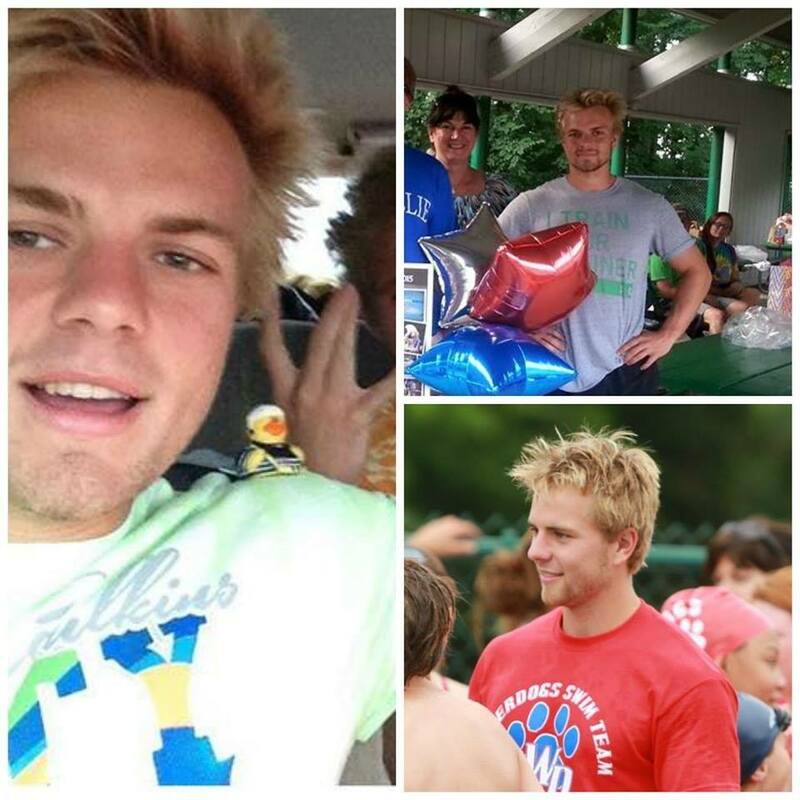 Ten days ago 19 year old Joe went missing whilst out on a run near a ranch in Colorado where he was visiting family. I reeled when I read his name, on Facebook: I did not recognize the smiling, grown up young man, but that familiar name sprung from my screen. I have never thought to look at the numbers. How many children – and young people – go missing each year? Since last Thursday, I have. The scaremongers would have us believe it’s hundreds each day – every 40 seconds in the States a person is reported missing one site says. But the FBI asserts that of the thousands that disappear – sometimes recorded missing simply as a consequence of miscommunication – more than 90% are found. Most within hours. I am only on the very, very distant periphery of this. The farway, safe edge of the deep, swallowing pain and fear and anguish that Joe’s parents and his immediate family and close friends must feel: the anxiety and sleeplessness and the eternal questions and options and what-to-do-nexts. I never considered that I would recognize a Missing Person’s name – certainly not that there may be a familial connection with my own children, however tangled and untidy and tenuous – I don’t suppose many of us do. It’s why we think, ‘how awful’. And then we move on. 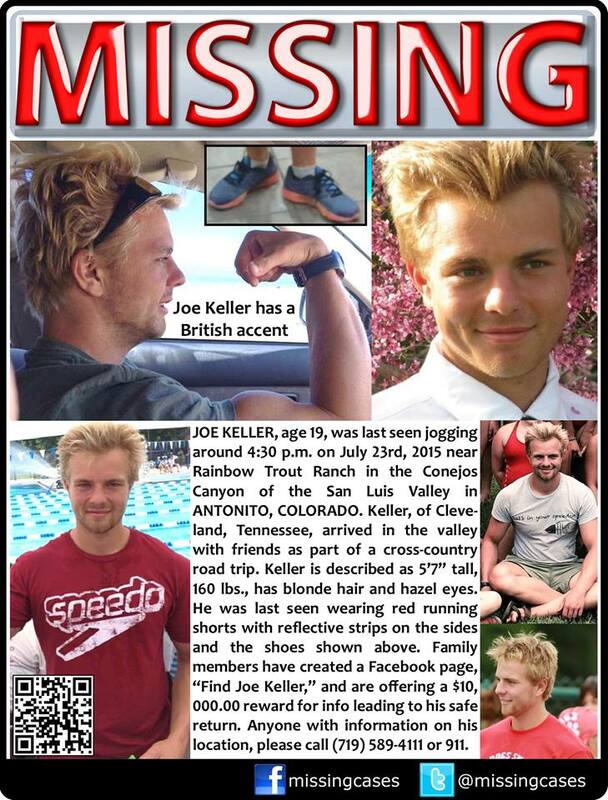 I’m a million miles away from where Joe has apparently vanished without trace. I do not understand the terrain or the topography, the geography or the country; I have never visited the States in my life. But the experts tell us that the more the message gets out there, the greater the chances of locating that person. That ‘sharing’ in the syrupy ether of the wide reaching World Wide Web might help prompt clues, nudge important memories, prod a useful suggestion. So please share this link – especially if you’re State-side. And the next time you see a Missing Persons notification, linger a little on the face, remember their name, consider what you could do. No matter how futile the doing may seem.